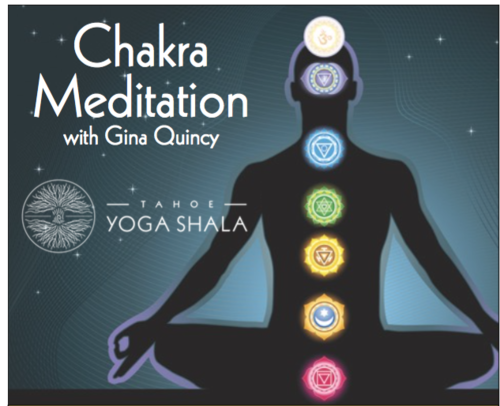 Join Yoga Mama Gina in a guided meditative journey through the body’s seven principal energy centers, or Chakras. Starting with the Root where we find a deep connection with Mother Earth and concluding with the Crown where we restore our connection to Source Energy, this exploration will balance and clear the Chakras revealing the Light of the True Self in all it’s brilliance and splendor. We will begin with a short period of gentle movement to prepare the body to rest in a supported supine position for the duration of the class. No previous meditation required. Gina’s playful and loving spirit will guide all into equilibrium through rich visualizations on color, the five elements and breath.